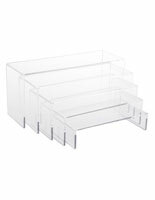 Are you looking to utilize more counter space in your home or business? 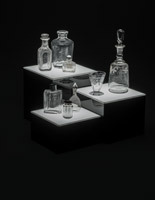 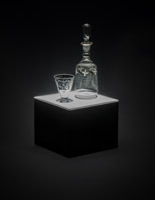 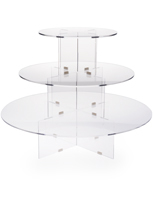 Our tabletop shelving comes in a variety of styles and finishes to fit any environment. 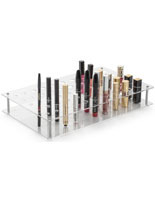 Whether you’re a jewelry store owner looking for a way to display new merchandise or you’re looking for a way to organize all your makeup at home — we have the tabletop shelving for you! 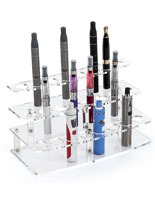 Many of our rack displays are made in-house with high-quality materials and are a part of our Workshop series. 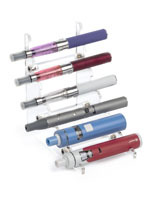 We pride ourselves in providing our customers with excellent products, so browse our large selection today! 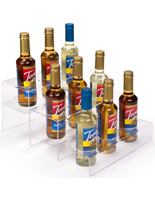 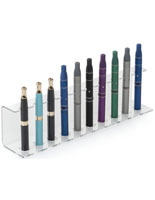 What types of countertop displays are available? 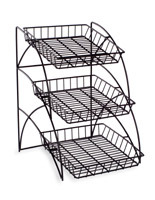 Tiered wire racks with three shelves often find themselves on countertops in the food service industry. 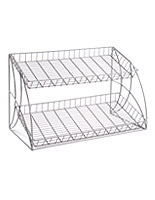 These include bakeries or restaurants for holding fresh breads, or small baked goods. 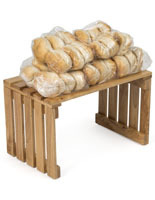 The rugged design makes it possible to hold up well in the food industry. 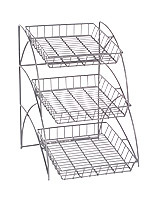 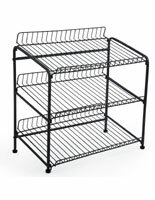 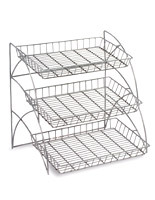 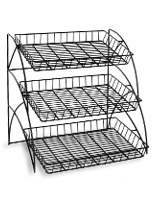 Wire racks with baskets are also often used in the food industry for holding condiments, and silverware. 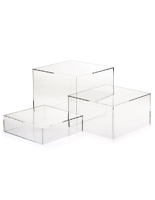 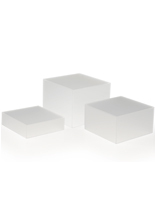 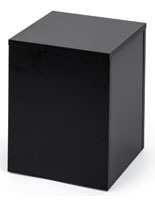 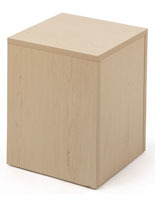 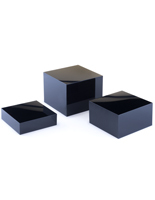 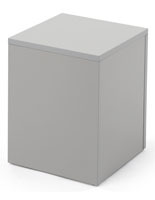 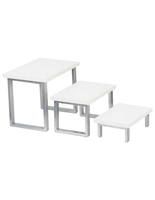 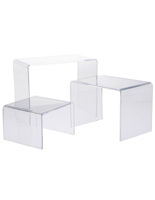 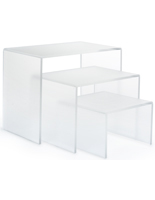 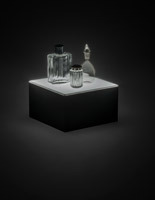 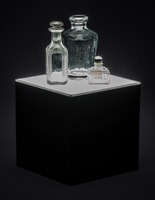 Acrylic cube risers with hollow bottoms are available in many finishes. 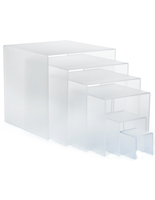 Choose from clear, frosted, gloss, and matte black. 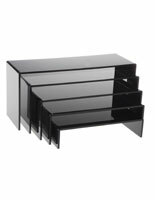 These store fixtures come in sets of three and can be used to showcase items like makeup or sunglasses. 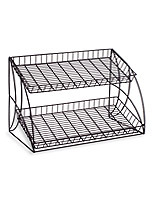 Flipped over, they can be filled with fruits and vegetables in a grocery store. 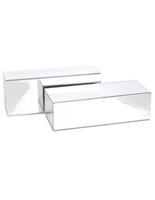 Our U-shaped risers are ideal in any retail setting, but are often found in jewelry stores or boutiques showcasing small merchandise. 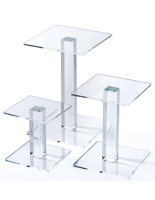 These are available in different sizes and come in sets of 3, 5, or 7. 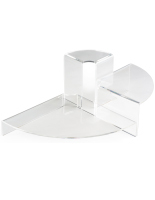 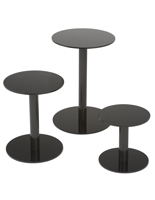 Acrylic risers are also available in a curved style for a more modern look. 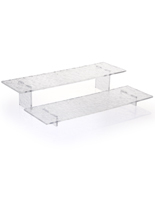 Other shelving options ideal in retail settings include our countertop spinning display with included hooks and our mirrored or round platform risers. 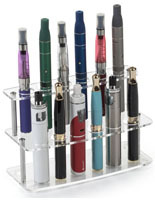 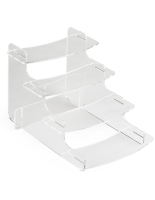 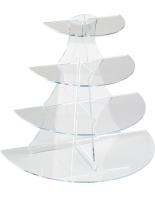 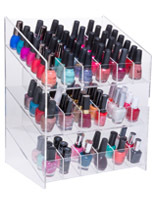 We have two different types of nail polish display racks in our large catalog, as well as cosmetic display stands. 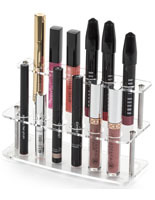 These have the ability to be used in beauty salons or in homes to organize your personal makeup. 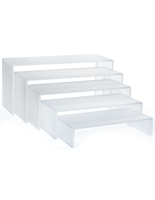 Tiered risers are ideal in bakeries, restaurants, and even large social gatherings like weddings. 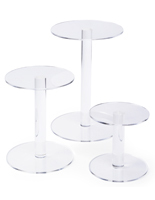 Display cupcakes, chocolates, and other foods on these fixtures. 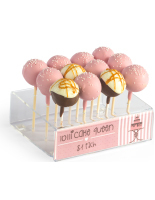 Also perfect for parties, our cake pop racks make showcasing this delicious dessert easy. 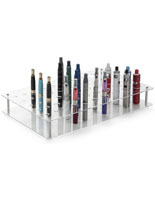 Regardless of your need, we are confident you’ll find a countertop display that’s perfect for you. 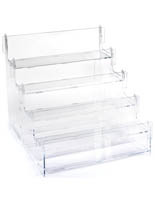 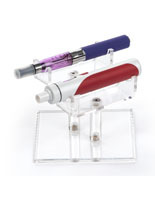 At Displays2go we pride ourselves on supplying our customers with high quality products at affordable rates. 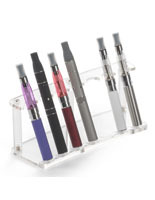 Shop online today to take advantage of quick shipping, and low prices!